My personal telling of this “what might have been” theme is Netflix stock. Through searching for archived emails in my Gmail inbox, I learned that Netflix first shipped me a DVD (remember those?) back in September 2007. The company had been launched nearly 10 years before that, so I was hardly an early adopter to Netflix. Netflix stock had its initial public offering on May 23rd, 2002. When adjusted for later stock splits, the closing price on that first day was $1.20 per share. Today, the stock trades at about $380. I was a fan of Netflix’s service from the get-go. But I never invested in the company. For the sake of illustration, let’s say I had invested $5,000 in Netflix stock on November 30th, 2007, at a split-adjusted price of $3.30. That $5,000 investment would today be worth $575,924. That’s an annualized compound growth rate of nearly 55%. Netflix stock from November 2007 to today. But even if I had the foresight and courage to invest $5,000 Netflix back then, would I have held the shares until today? A common mishap for individual stock investors is selling their winners too early and holding their losers too long. Netflix’s stock price history gives a great example of how this happens. Let’s play the tape forward in my hypothetical purchase of $5,000 worth of stock on 11/20/2007. 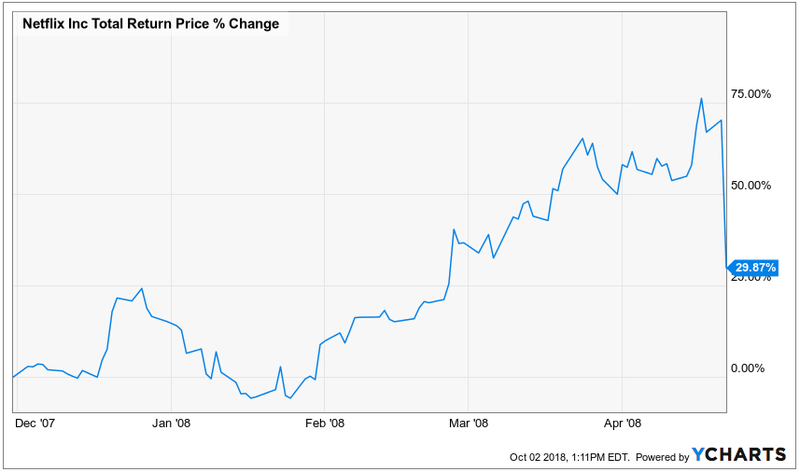 By April 17th, 2008, Netflix stock was up to a split-adjusted price of about $5.81, meaning my initial $5,000 investment had quickly ballooned to $8,800. In other words, I had a 67% gain in just 4 ½ months! Yet, four days later, Netflix plummeted down to a split-adjusted price of $4.286, bringing my investment value down to less than $6,500. I would still have been up $1,500 in my investment, but I would have been kicking myself over having “lost” over $2,300 in the span of four days. It would have been tempting to take my 30% profit and run — selling the winner too early. Fast-forward to the Financial Crisis of 2008/2009. On October 27th, 2008, Netflix stock dropped down to a split-adjusted price of about $2.56 per share. I would have now been down about 22% off my initial investment, meaning my $5,000 of Netflix stock was now worth a pitiful $3,878. In October 2008, there was a lot of fear and panic in global stock markets. It would have been very easy for me to wimp out and sell my Netflix stock. Cut my losses and moved on. We’ll give Historical Mike some credit and assume he gritted his teeth and held the Netflix stock. Fast forward to 2011. 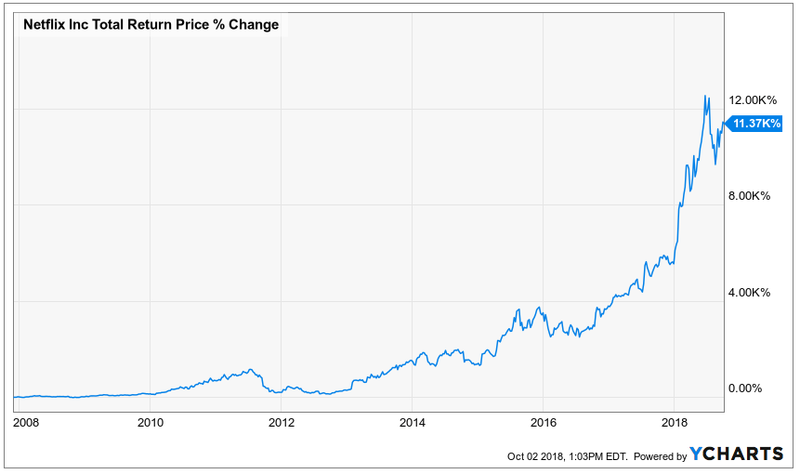 In the span of less than 4 ½ months, Netflix stock shed nearly 80% of its value, trading from $42.68 on July 13, 2011, down to just over $9 on November 25, 2011 (nice Thanksgiving present). 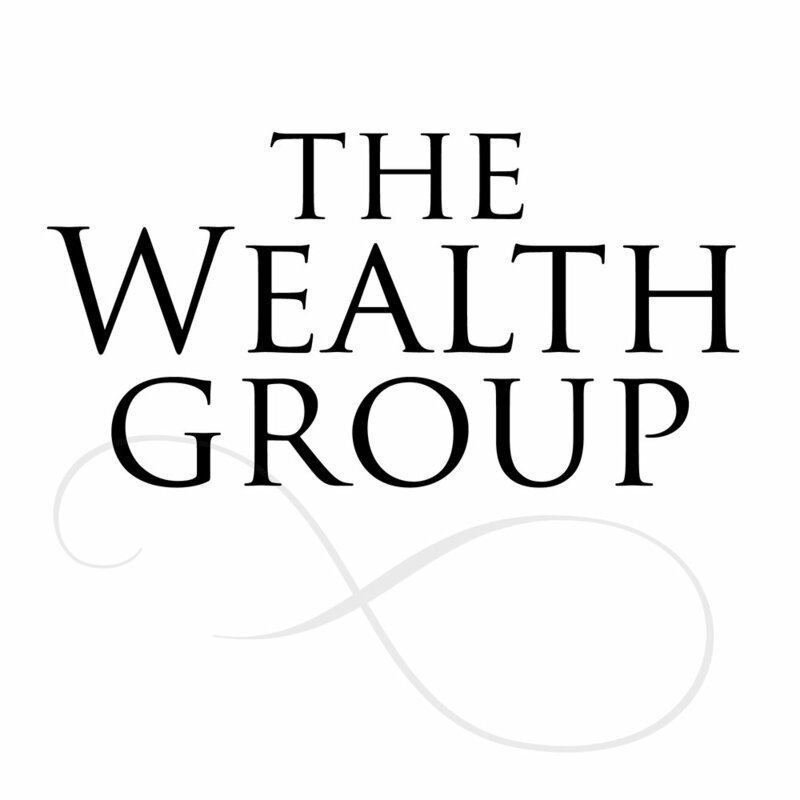 My initial $5,000 investment would have ballooned up to $64,660 in July 2011, less than four years after my purchase. But then, by November 2011 my investment would have plummeted back down to $13,800. Would I still have held the stock? It’s easy to say “yes, of course” in hindsight, but it would have been remarkably challenging in the moment. In behavioral finance, the term “hindsight bias” is used to explain this phenomenon, which some call the “knew-it-all-along effect.” After an event occurs (e.g. Netflix stock shooting to the moon), we think that event would have been easy to predict all along. For every winner like Netflix, there are thousands of companies that fail. 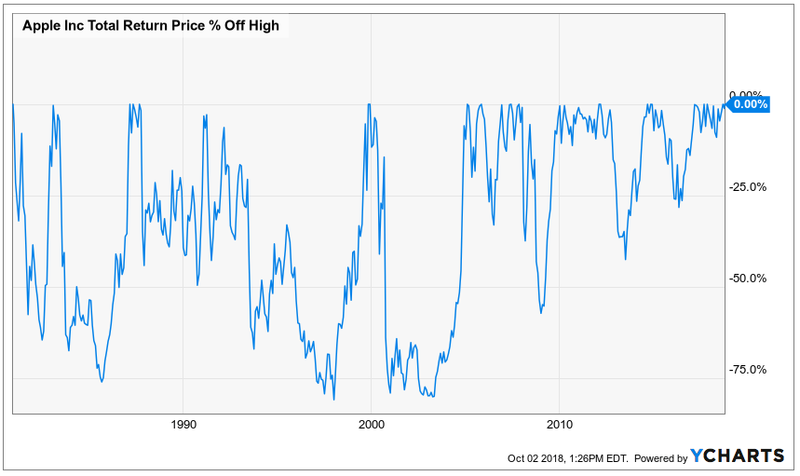 And even if a company doesn’t fail, there are many stocks of companies that suffer a “catastrophic loss”, defined as a 70% or more decline from peak value – with minimal recovery. During the period studied in this chart, nearly 60% of technology companies had a catastrophic loss…and never really recovered. What if Netflix had been one of those companies? Not only would my initial investment be worth a pittance today, but that $5,000 of capital could have been invested in a broadly-diversified portfolio for all those years. So there’s an opportunity cost to deploying capital in an individual stock. When someone buys individual stocks, they typically don’t buy just one. They don’t put all their eggs in one basket (which is wise). Over time, they might accumulate a portfolio of several individual stocks, purchased either based on the fundamentals, hunches, or both. Well, some of those stocks might hit big like Netflix. But some might be in companies like Blockbuster. We don’t know in advance which companies will be the winners and the losers. Some very challenging times as an Apple investor over the years. Investing in individual stocks does offer the potential of higher returns. But what are the chances? And what are the opportunity costs of doing so? And how will you know when to finally sell?